Today's post is a guest post by Jake Richardson, an LL.B. student from Aston University's Law School. On many occasions here in Financial Regulation Matters we have discussed the increase in certain technological fields and the impact that it may have upon wider society. In today's post, Jake discusses the relatively recent rise in the testing and implementation of autonomous vehicles and examines the potential impact that this may have - in relating the increase to social considerations like safety and costs, the post makes a very good point that a societal shift may need to take place for such technological advances to really take hold. The idea of autonomous transportation may not have yet hit the minds of many people in the United Kingdom, nor in fact the world. Yet, many manufactures have already teamed up, such as the likes of Bosch and Mercedes, with many more companies committing plans to mass produce driverless cars on a global basis by 2025; and with an estimated market to be worth over £1 trillion, fiction is set to become reality. However, there are a number of issues that need to be raised and addressed before then. From a purely social perspective, autonomous vehicles have the capacity to reduce death and injury caused by driver error. The World Health Organisation published statistics indicating that 1.25 million people die from car related incidents, and 90% of that figure occur in low to middle income countries. If cars were to be autonomous, then perhaps driver error, which would encapsulate drink-driving, fatigue, speeding, careless and reckless driving would be eliminated. However, are we ready for this technological change? 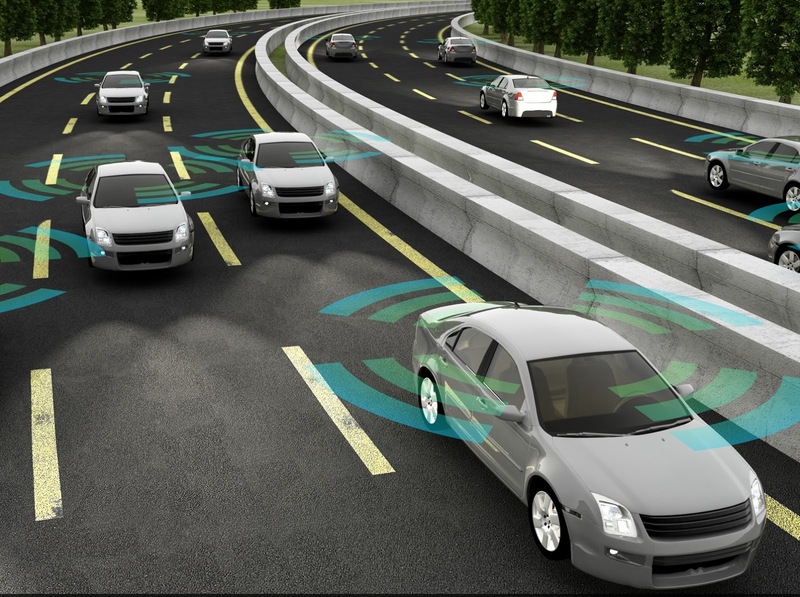 Even if we are not ready on a global basis, the facts given by the Eno Centre for Transportation in the United States tells us that if all cars were autonomous, then incidents would fall be 80%. On the other hand, in the light of recent events with Joshua Brown, who was killed when the autopilot system in a Tesla S failed to notice a truck blocking its path will certainly cast a seed of doubt in many minds. Indeed, this was the first incident to occur with a driverless vehicle in 130 million miles of autonomous driving, and such technology is still within the testing phase. In turn, autonomous transportation will significantly reduce the number of car related incidents because it is removes driver human error completely, although it will not eradicate incidents completely because faults do exist within technology and mistakes still do occur either if they are foreseen or unforeseen. Unexpectedly, with 3.7 million commuters in the United Kingdom spending on average 2 hours a day to travel to work, and with those who cannot travel or find it difficult to do so because of a disability; autonomous transportation yields strong support as it increases the quality of life and work for many. But with many commuters paying high fares to get to work, as rail fares account for 14% of salary earnings, autonomous transportation is not a cost effective alternative either. With Google releasing its own autonomous car at a starting price of $75,000 and cars manufactured by Tesla starting at $101,500 it seems to be that affordability is still a long way off in the future. However, Tesla may sway buyers with its new model, the Tesla 3, as prices do start at $35,000 and therefore act as a game changer to autonomous transportation industry. There are, of course, many legal issues to be resolved. Current civil law requires a driver to be competent and demonstrate the same care of a reasonable person; yet, how can this law apply when there is no driver to be assessed? Additionally, a person can also be criminally liable if driving a car dangerously under Section 2 of the Road Traffic Act 1988. In turn, the United Kingdom, as with many other nations, will have to revise their current laws. Perhaps the burden of responsibility should be shifted onto the manufactures themselves, with the law stating that reasonable care should be imposed on companies who do not comply with new Health and Safety laws. If this were to happen, then our understanding of cars would change, and we would view cars as technological items that have similar characteristics of say an Apple iPad, in the sense that manufacturers have liability for defective products. Additionally, the driving license could effectively be replaced with a competent training certificate which would, therefore, allow everyone to understand how autonomous technology works so that they are better equipped in dealing with problems that may arise. Autonomous driving does bring many advantages, but this also equally brings disadvantages both from a social and legal perspective. If autonomous transportation is to become a commercial success, then companies will have to start taking reliability for the quality of technology that will inevitably safeguard a human being. If this were to happen, then governments would be able to legislate accordingly and set new Health and Safety laws that regulate companies and protect the consumer. Yet, the biggest challenge facing manufacturers will be the social acceptance of this new technology. As an example, technology is used to regulate the operational use of gated level-crossings on British railways. However, when Network Rail wanted to upgrade a level crossing next to Plumpton station, which is on a branch line off the main London to Brighton route, fierce opposition was met because residents were not confident in a system which monitored the level crossing remotely 20 miles away. Therefore, acceptance of technology comes with time. We, as a population need to consider when we have allowed other human beings to safe guard our lives when using transportation. When pondering that thought, we do it when we hail for a taxi, catch the bus, commute on a train and fly on our holiday. We all take the risk of entrusting and relying on these individuals to drive or fly safely, sober and have a level of reasonable care - can this be the same for autonomous transportation? Mr Jake Richardson is an LL.B. student in Aston University. Jake can be contacted via LinkedIn here.